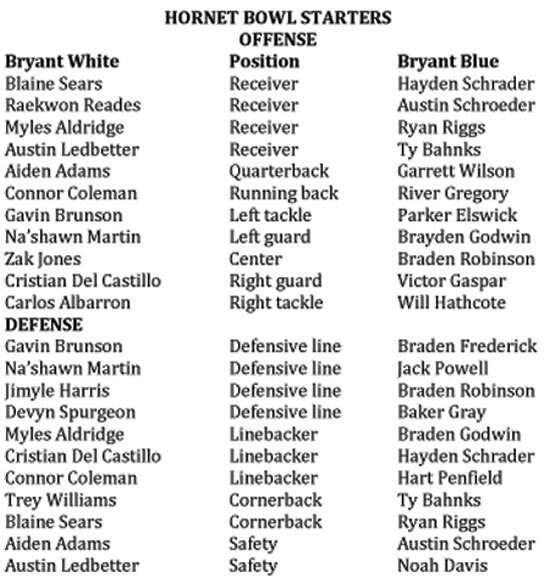 Though it’s not quite the Salt Bowl, the annual football battle between the eighth grade teams from Bryant Middle School (Bryant White) and Bethel Middle School (Bryant Blue), known as the Hornet Bowl, has developed into the highlight of the season for the two Hornets teams. This year, Bethel will be the home team and fans will sit on the home side. Bryant will be the visiting team and fans will sit on the visitor side at Bryant Stadium. Kickoff is set for 5:30 p.m., and the game will be followed by a Central Arkansas Junior High Conference showdown between the freshman teams from Bryant and Little Rock Catholic. Bryant Blue comes into the game 3-1 on the season but hasn’t competed in a game since their 12-2 win over Pulaski Heights on Sept. 20. 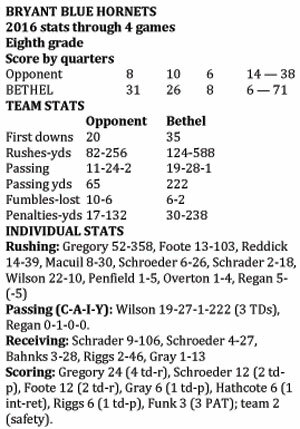 Bethel has defeated Little Rock Henderson, 26-8 and Little Rock Forest Heights 27-6. The loss was to Cabot North, 22-6, on Sept. 8. Bryant White comes into the game with a 2-2 record. 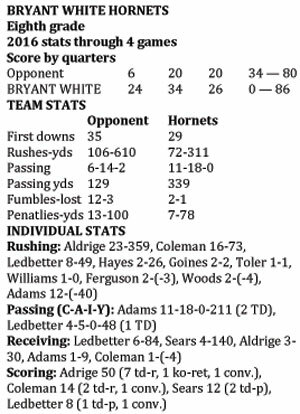 Bryant’s last outing was Sept. 28, when it defeated Conway Blue 26-12. The White Hornets opened the season with a 22-12 loss to Little Rock Horace Mann but bounced back the next week to bury Lake Hamilton 40-20. 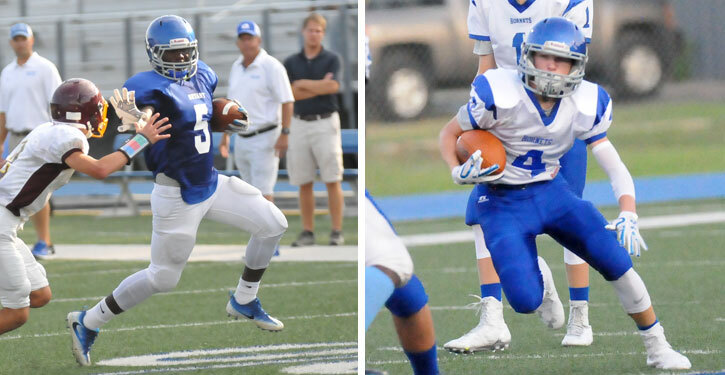 A 26-6 loss at North Little Rock preceded their win over Conway Blue. The Hornet Bowl goes back to 2006 when Bethel Middle School was opened. 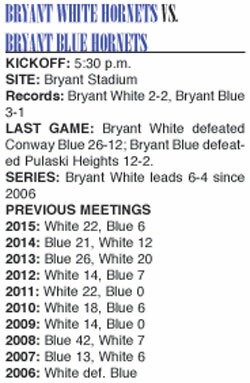 Bryant White has a 6-4 advantage since including last year’s 22-6 win that snapped a two-year winning streak for Bryant Blue. Last season, when the players on the two teams were in seventh grade, Bryant White prevailed 24-6.